Well, not exactly. The year was 1952 and Eddie starred as the jockey during a horse race in The Cisco Kid. The episode was called “The Quarter Horse” and I think Eddie says one line or one word. Growing up in the 70’s, these types of shows were in syndication and the reruns would still be on television during the daytime, even in the late 70’s. I hated getting sick as a kid because I was stuck in bed reading or watching bad reruns, like this show or Gomer Pyle, et al. To this day, these old shows remind me of being sick in bed with a fever. The old TV westerns were pretty corny and a character like Cisco’s sidekick, Pancho, would not be well received today. It’s a total stereotype. 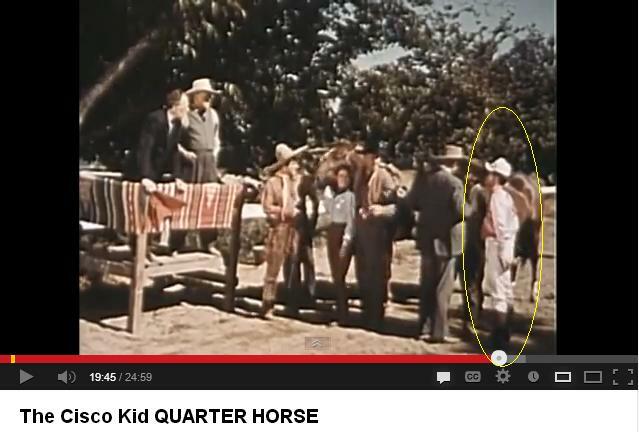 Nash stars as “Nash” in the Quarter Horse episode. That’s REALLY bizarre! From walk-on role to Hot Dog stand owner, and the rest is history.